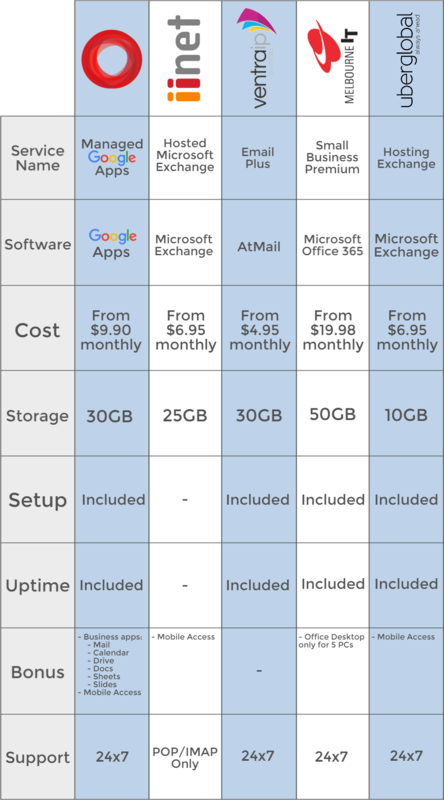 Which Email Hosting Solution is Right for You? 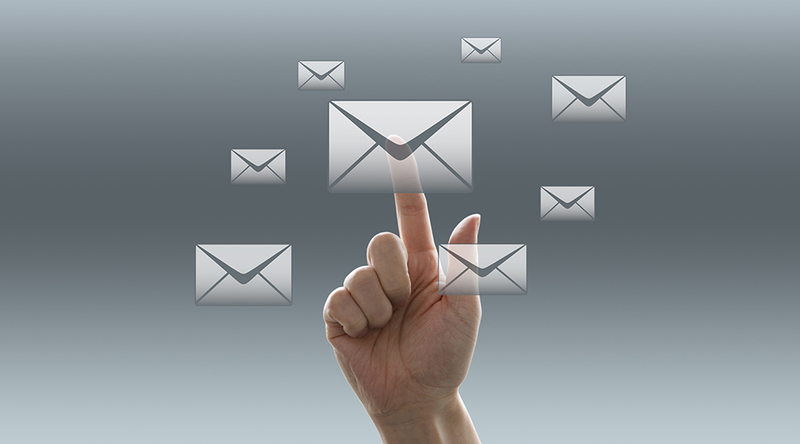 Are you looking for affordable, reliable, Australian email hosting? You have come to the right place! We want to show you how our email hosting solution fairs again other Australian hosting providers. Google Mail is arguably the best email solution in the world. Why? Google have spent years and millions of dollars developing the world’s best email spam filtering. This means no more marriage proposals from Ula in Russia. Google have made each users’ experience personalized, which means, for example, that your email address will be at your own domain, e.g. social@crucial.com.au, NOT social@gmail.com. Also, I am sure you have much better things to do than go through old emails and delete them to make space – so you will enjoy a whopping 30GB storage! Google Mail is only 1 of the available apps to use in our Managed Google Apps service, there are 5 more to improve the running of your business. Google Apps brings your team closer and makes collaboration easy, with amazing apps like Drive, Docs, Sheets, and Slides. With Managed Google Apps, you’ll spend less time being a System Administrator and more time on the important things like growing your business. Get in contact with one of our Google experts and find out how Managed Google Apps will benefit your business. Visit our website for more information about our Managed Google Apps service — www.crucial.com.au/managed-google-apps/. Contact our Google Experts today! We'll walk you through exactly what Managed Google Apps will do for your business.